Got some good news the other day from Eric Cook at Shine United. 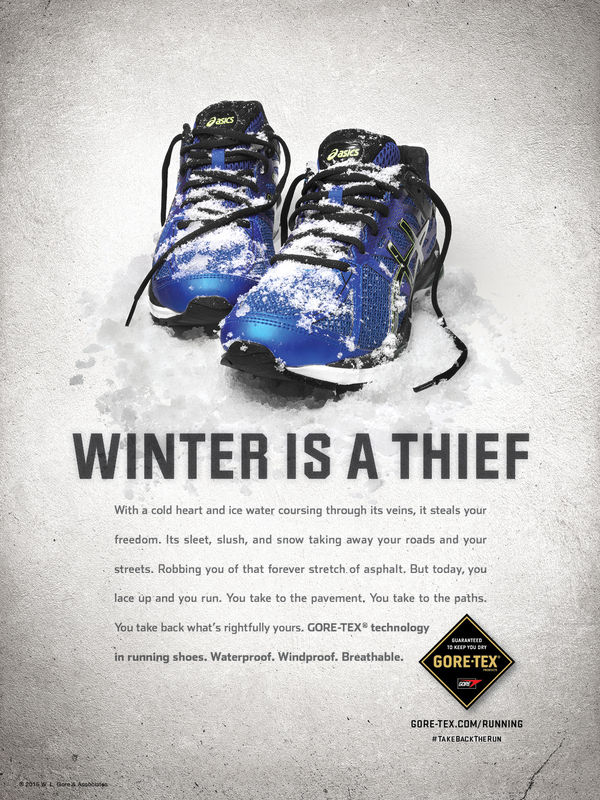 Eric art directed a series of consumer ads for Gore-Tex that I had the pleasure of photographing. The ads won a Gold award in this years Graphis Competitions Advertising Annual. The ads consisted of lifestyle photos of runners and studio shots of running shoes that incorporated the Gore-Tex product. I photographed the studio portion of the ad series. Studio shots consisted of three different pairs of running shoes with various weather elements, snow, water and mud to illustrate the protective properties of the Gore-Tex materials in the shoes! 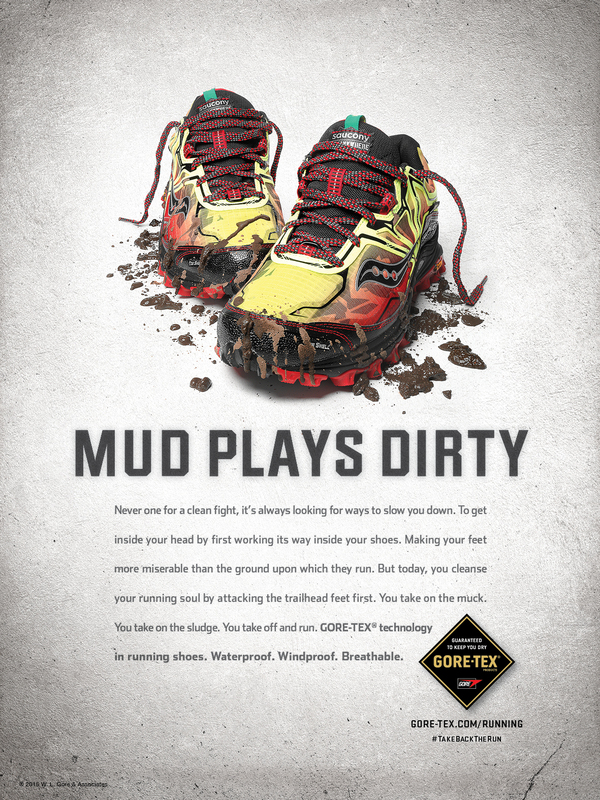 Also, photographed a series of different shoe brands that include the Gore-Tex material for spot visual in spread ads.